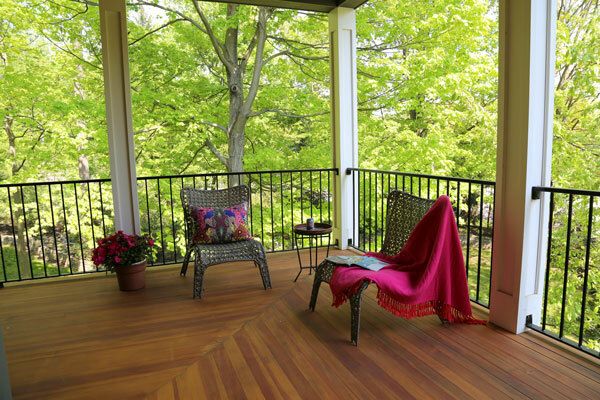 A resort spa feeling is achieved through a series of thoughtful steps. 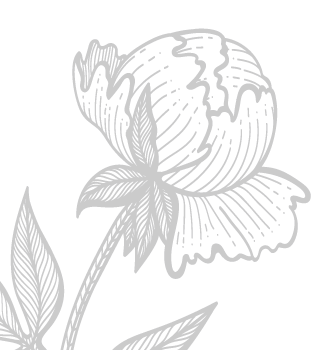 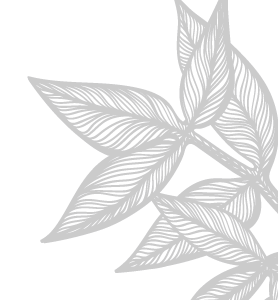 We bring the outside in with fresh flowers from the homeowner’s gardens or local florist and arrange table settings with either the owner’s or our china, silver and crystal. 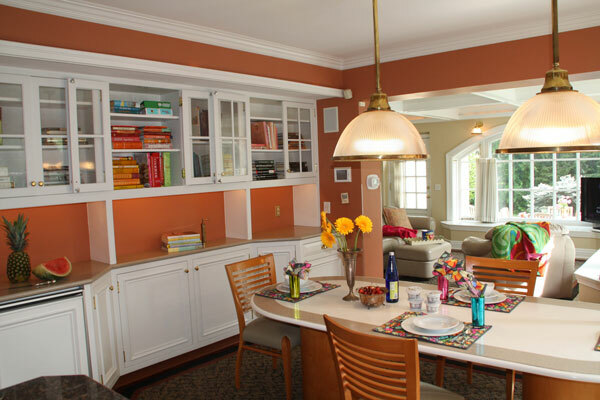 We organize bookshelves, mantles and cabinetry with select art, books, and pottery. 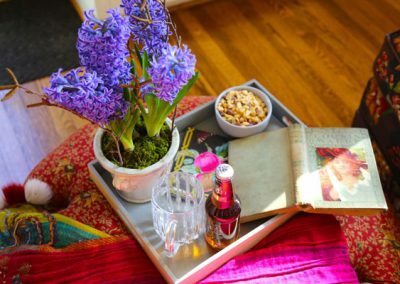 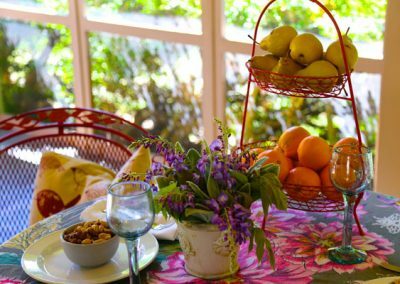 The pièce-de-résistance is our displays of fresh fruit, breakfast tray with the New York Times, or other lifestyle vignettes. 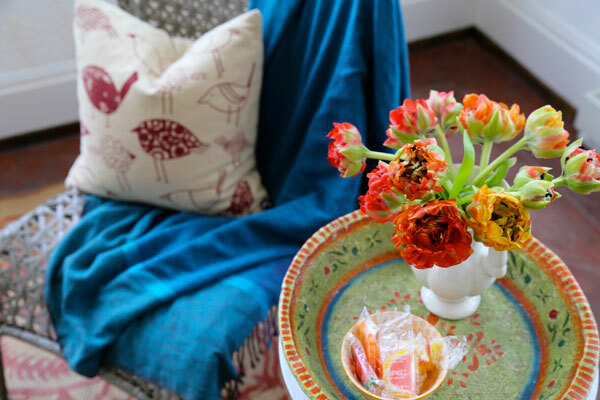 Afternoon snacks await on this ottoman in the sun-soaked sitting room. 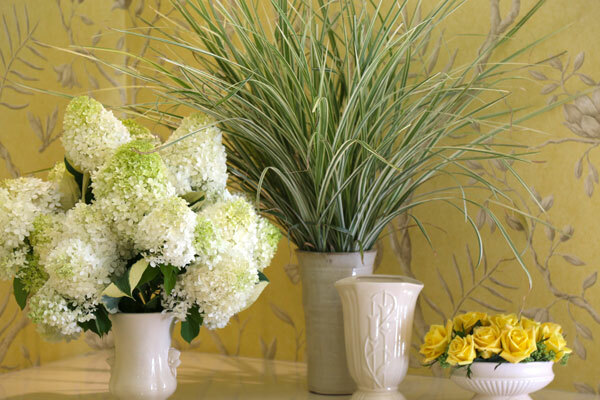 The spectacular hyacinth’s fragrance fills the room with the scents of Spring. 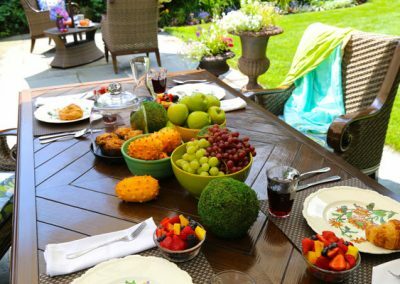 Join us for lunch! 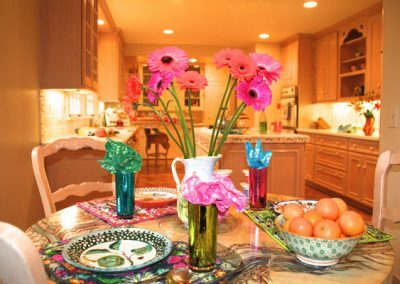 The vibrant colors of the Gerbera daisies, tangerines, reflective drinking glasses, patterned placemats and handmade ceramic plates bring joy to an otherwise neutral kitchen. 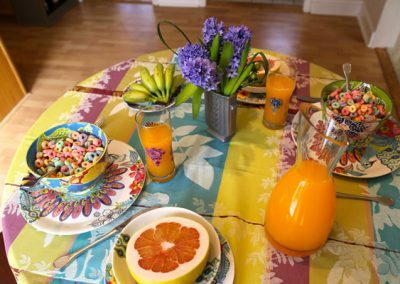 Breakfast is served! 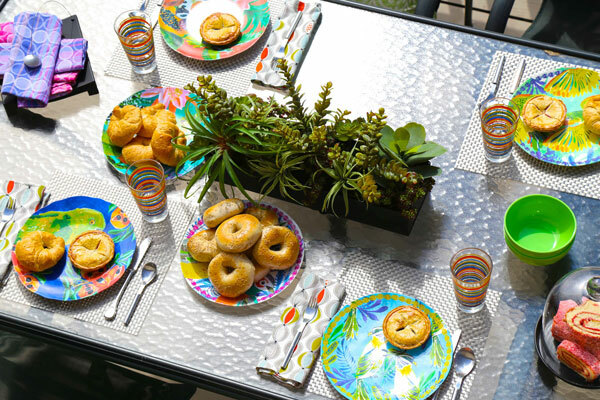 This bagel bonanza, served ein plein aire, enables the entire family to enjoy the creekside setting. 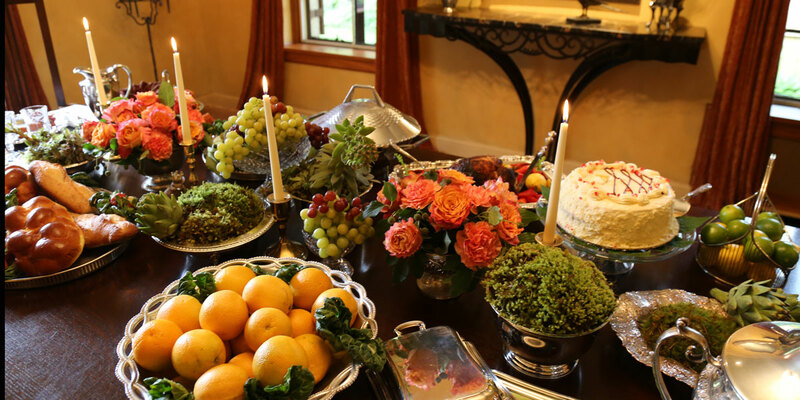 Lit candles create an inviting ambience. 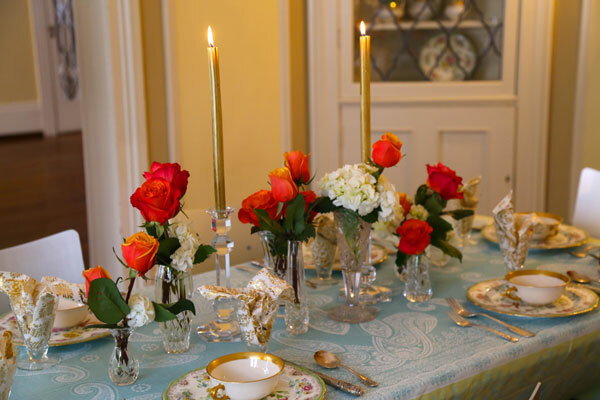 The soft fur throw and coral roses, placed on a mirrored tray, add warmth to this stunning traditional Georgian-style home. 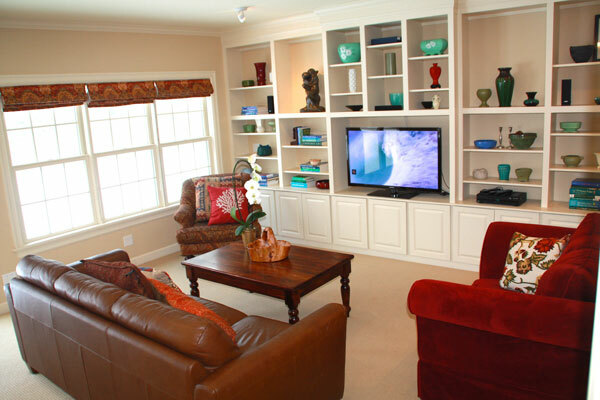 Color blocking the bookcases, and arranging the furniture in a conversation grouping makes this family room appealing. 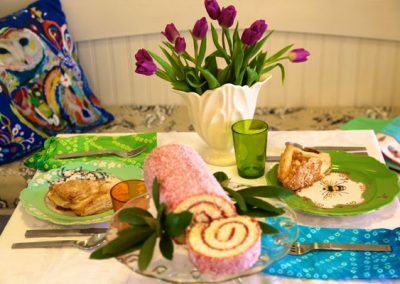 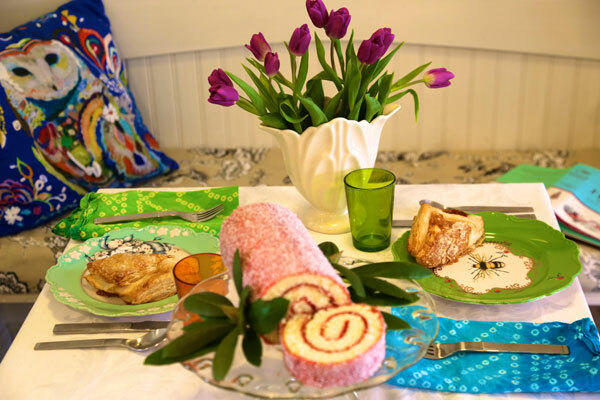 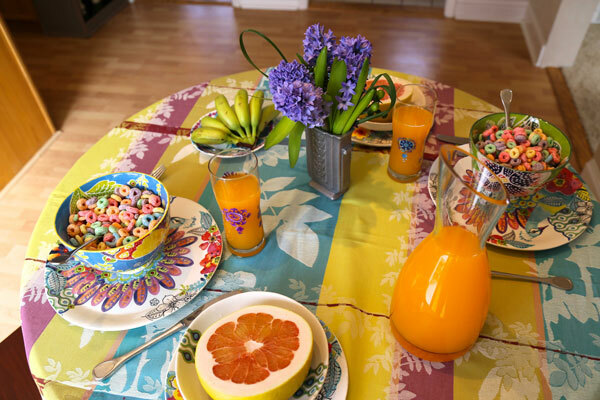 Cheery foods brighten this breakfast table. 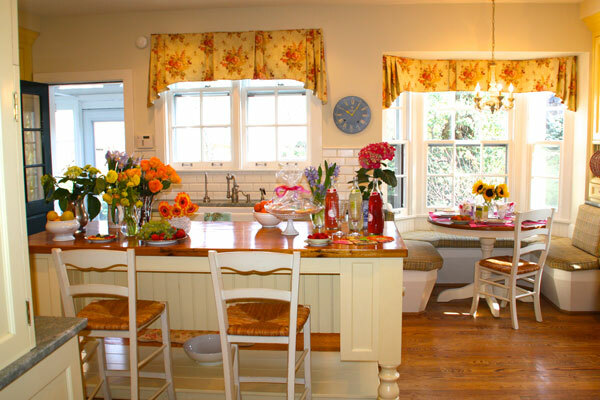 Flowers, food and pillows adorn and soften the look of this wooden kitchen booth. 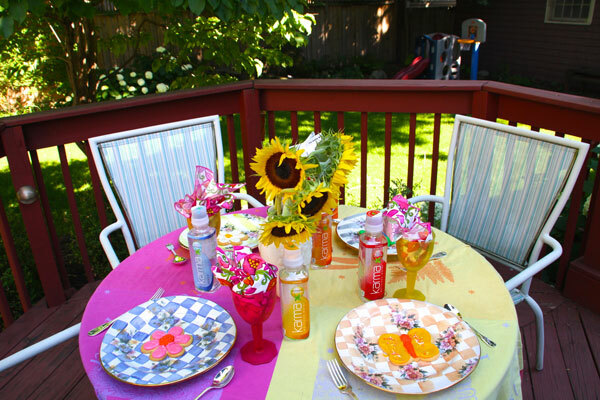 Pops of color in the fruit and flowers enliven this table setting. 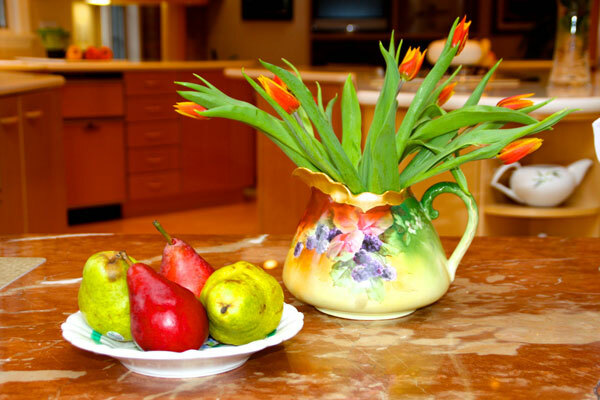 Creating still lifes with owners’ treasured antiques adds depth to our staging. Elegance abounds is this historic dining room by use of vintage plates, collected at an estate sale. 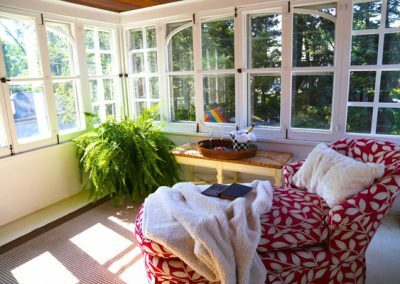 A cozy corner in which to relax. 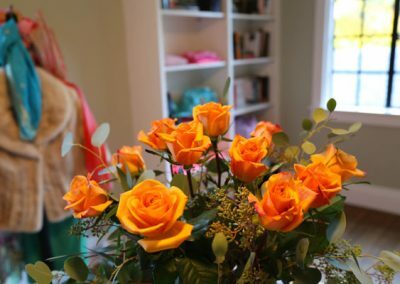 Fresh roses add femininity to this woman’s dressing room. 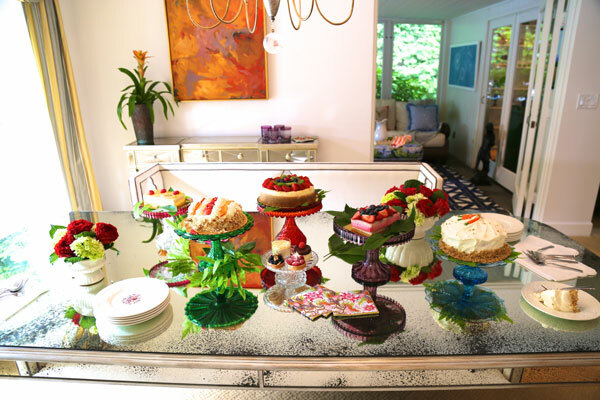 When a new listing coincides with a holiday, themed treats are in order. 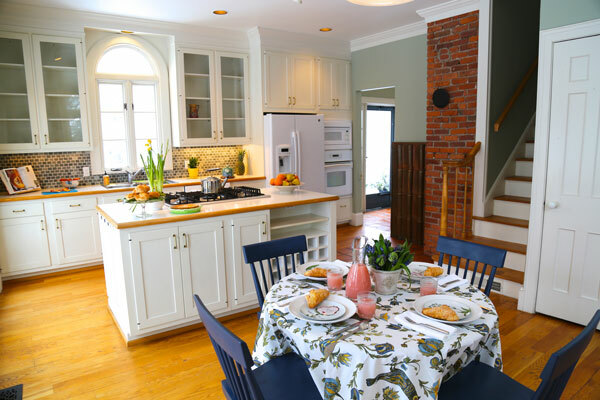 Inviting elements such as beautiful pillows and a breakfast tray with fresh squeezed orange juice and tea with lemon create a welcoming vibe. 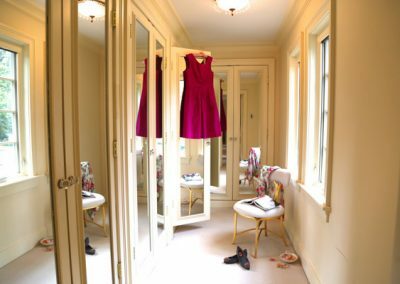 We turned this bedroom into a sitting/dressing room in order to assist buyers in envisioning the potential use of this room. 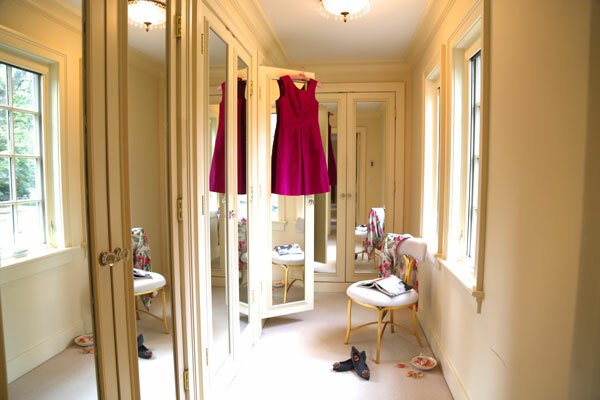 We added a golden chair, opened mirrored closets and featured a shiny magenta taffeta dress to bring life to an otherwise blank canvas. 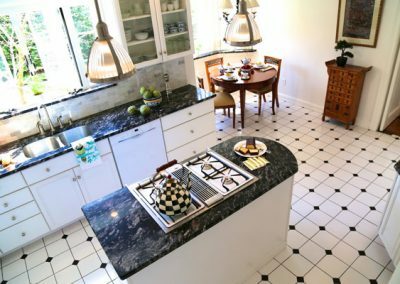 By organizing cookbooks in the kitchen, we honored the owners’ love of all things gourmet, helping buyers to view the kitchen as a chef’s delight. 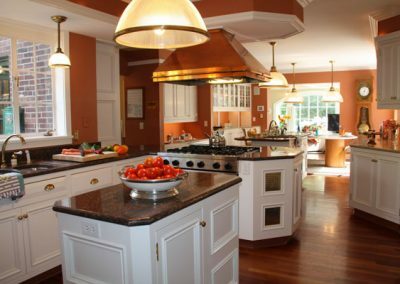 Fresh-from-the-vine tomatoes and home grown vegetables on a cutting platter, highlight the ample counter tops for cooking and professional flow of the kitchen. 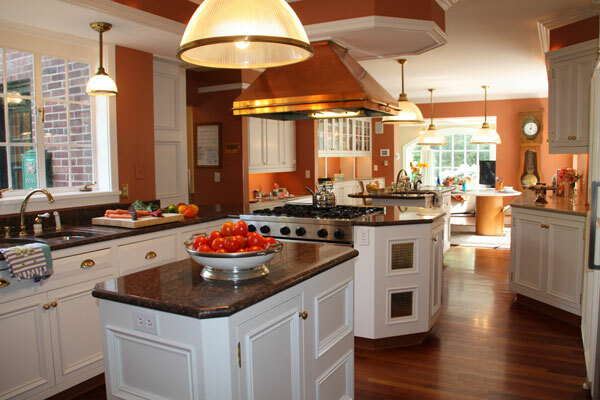 Pasta and home cooked sauce for dinner tonight! 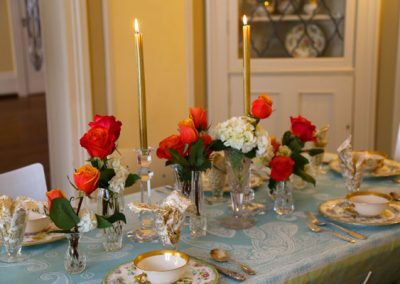 In keeping with 2018 fashion, we set the table with gold-plated utensils which brought out the warmth in the nearby mirror and picture frames. 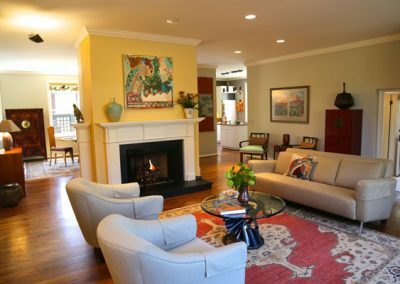 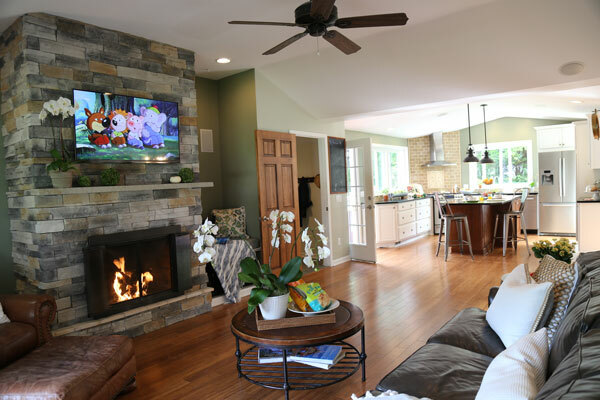 Turning on the gas fireplace brought incredible warmth to this carriage house’s great room. 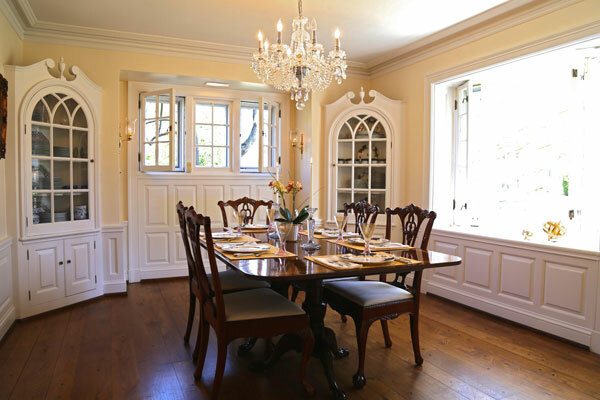 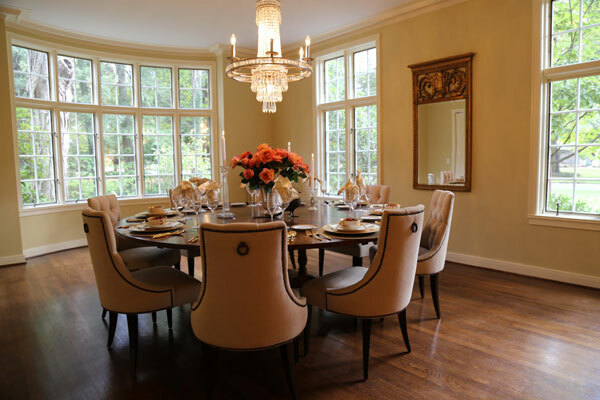 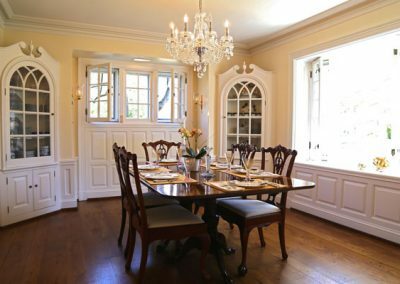 Opening the windows of this traditional dining room brings fresh air and a positive feeling to this gorgeous formal dining room. 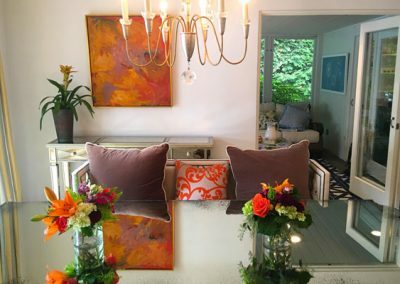 Dual bouquets of Spring flowers coordinate with the pillows and art that we have placed in this open plan dining room. 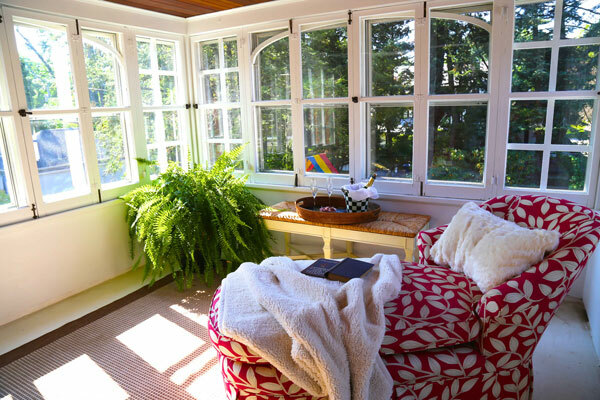 We bring in throws and pillows, live and silk plants to create a welcoming nook in this summer sleeping porch. 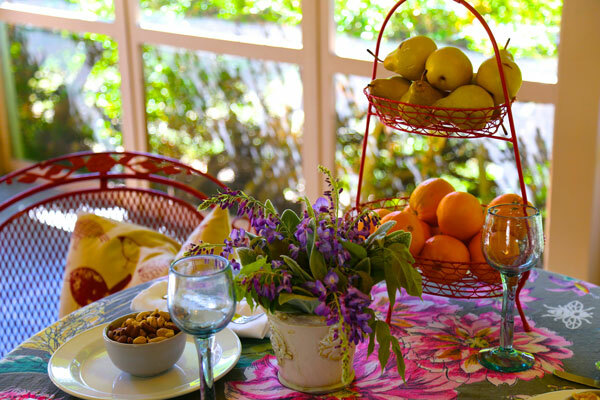 Sumptuous food tableaus are both pleasing to the eye, and representative of ways to entertain on the screened-in porch with views of the lush acreage beyond. 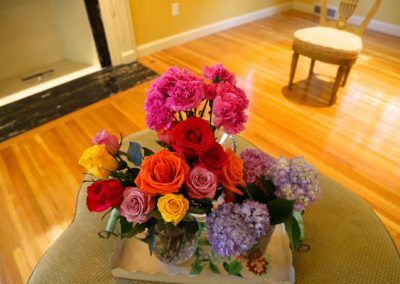 Our team’s love of gardening and our stager’s background as a florist, means our flowers are artfully and exquisitely arranged. 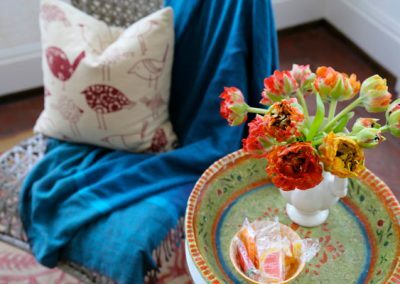 We often bring in the right size or shape table for a space and add fitting table linens to brighten rooms and show how the space can be utilized. 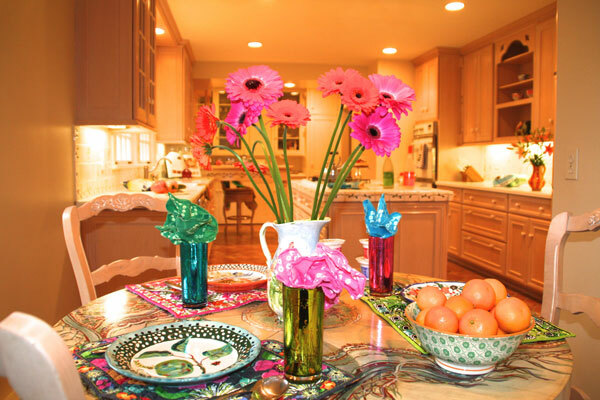 Coordinating staging accessories with existing color schemes and patterns is our specialty. 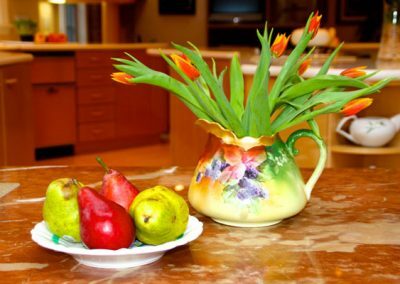 These mini pumpkin stalks are fun to display during the Fall season. 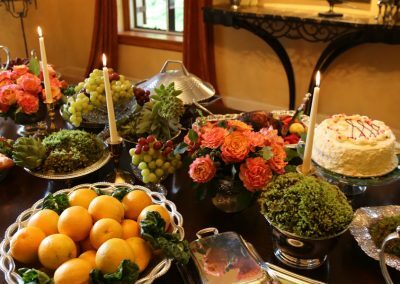 A feast for the eyes! 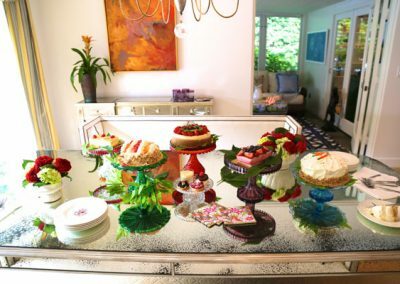 Utilizing the owner’s stunning collection of antique cake plates, our team held a sweet open house offering deliciousness served from the dining room. 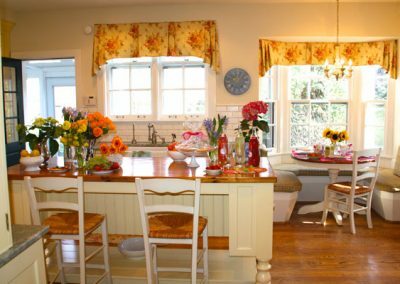 Bringing the outdoors inside, all drapes were removed, and a breakfast tray filled with home-squeezed OJ, the day’s newspaper and more becomes the feature. 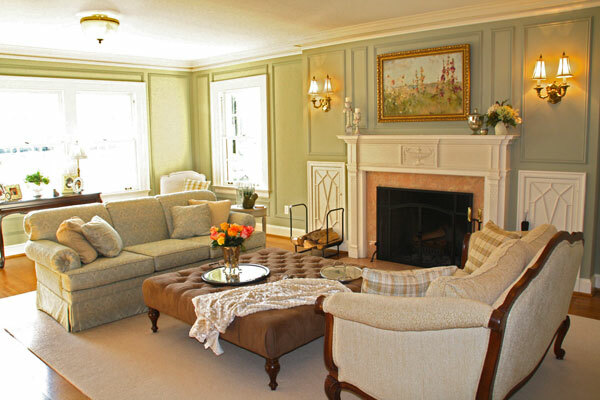 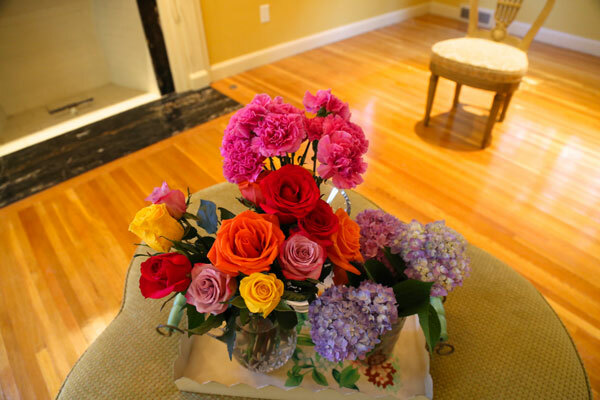 A rainbow of fresh flowers adds a splash of color to the livning room of the all brick Georgian colonial. 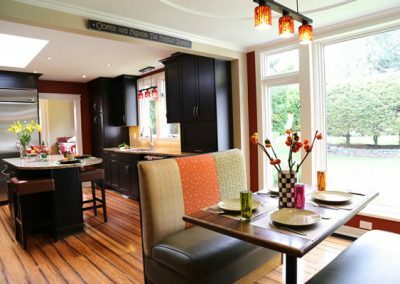 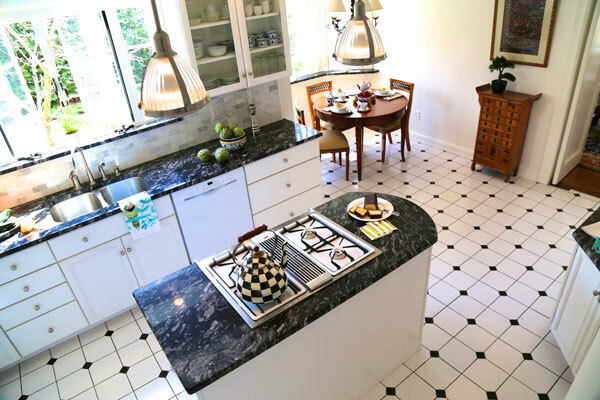 Kitchens are often the focal points of the home and the focal point of our staging. 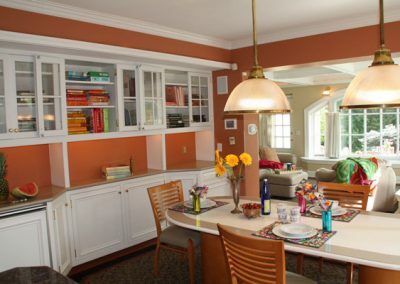 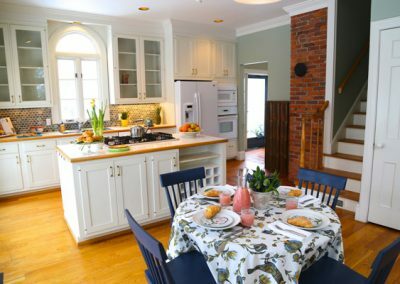 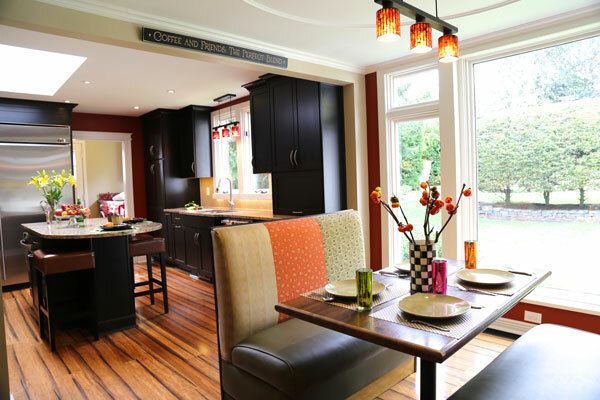 Counters have been cleared of clutter and artistic dish towels and vignettes of a summer meal are strategically placed. 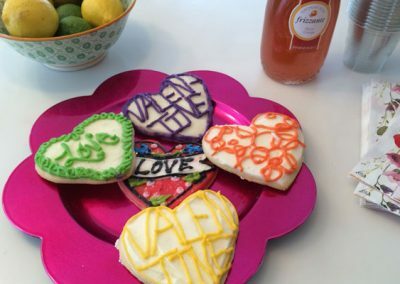 Fruit, flowers, Valentine’s cookies served at our open house. 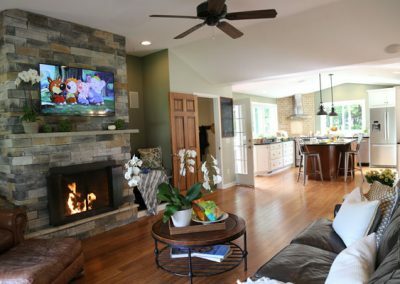 TV on, fireplace on, msuic on…ready to show! 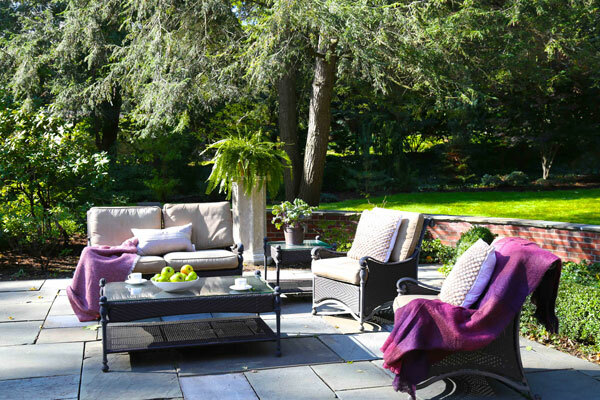 We love staging home exteriors! 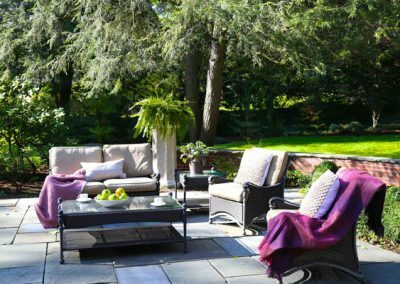 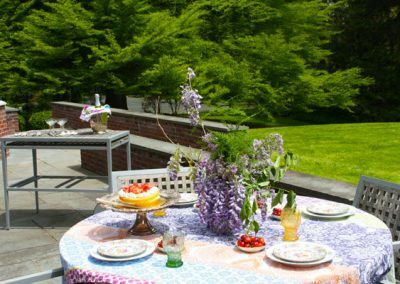 Setting a picnic on the lawn, floats in the pool, towels on the chaise lounge, s’mores fixings by the firepit, Champagne en plein aire, all create outdoor spaces and bring them to life. 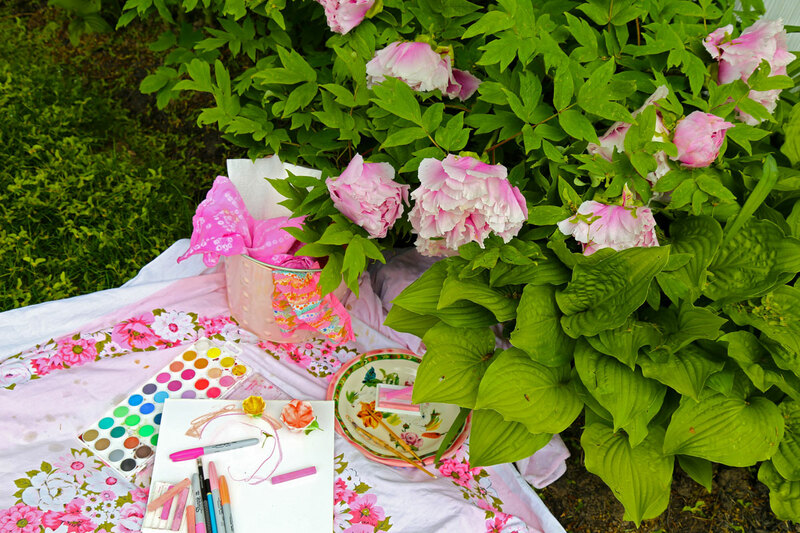 Watercolors set on a blanket outside for the ein plein air artist. 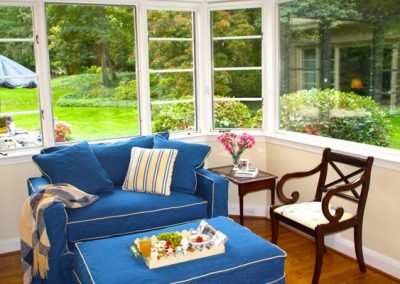 We pay as much attention to staging outside, as we do the inside. 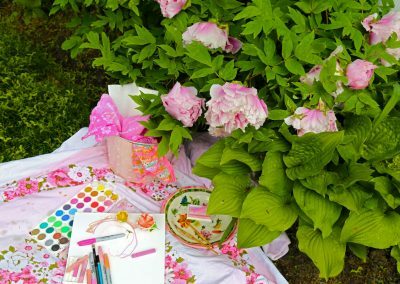 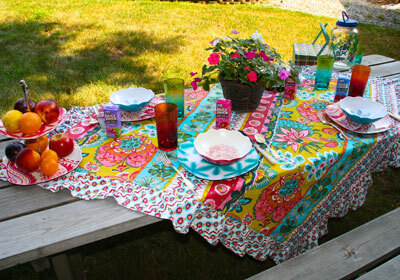 Joie de vivre displayed in this ein plein air picnic table setting. 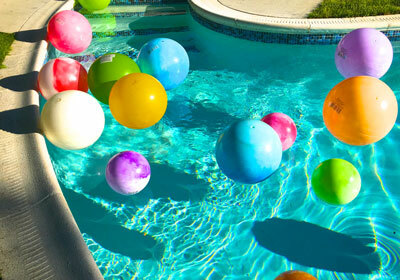 Colorful pool balls bring life to this expanse of Cerulean blue. 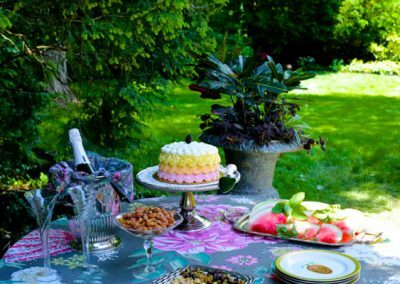 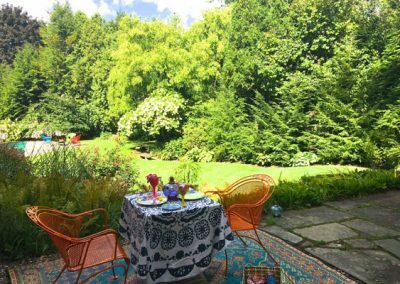 Designer table linens, fragrant wisteria and a strawberry shortcake, add pops of bright hues to the verdant outdoor backdrop. 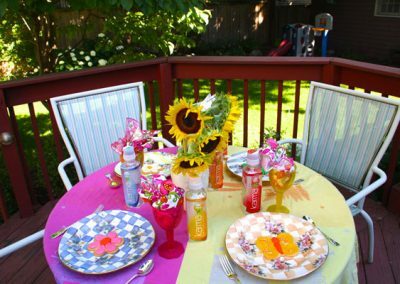 Sunflowers are always a favorite for adding a little country in the city! 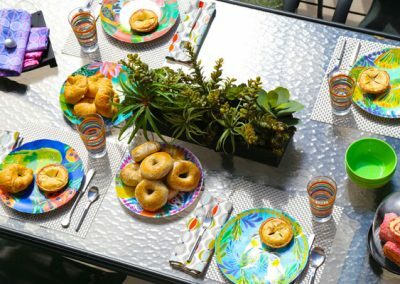 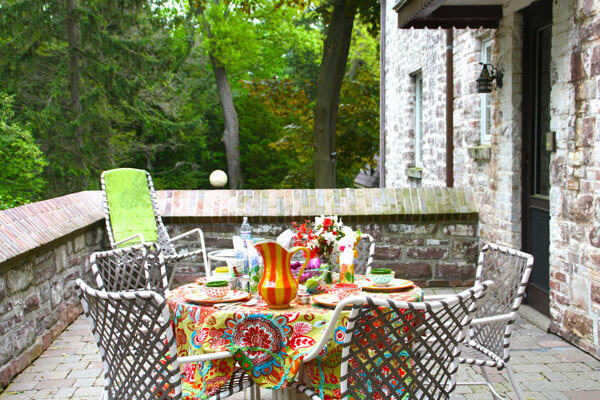 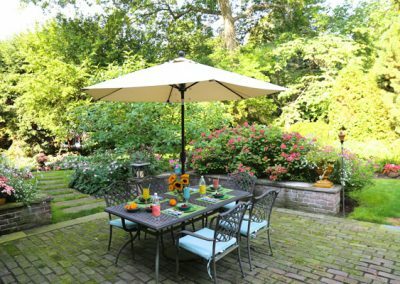 Brick patios are so much more inviting when the table is set with fun mix and match patterns, textures and colors. Warm blankets and hot chocolate create a feeling of warmth on a cool Fall day. 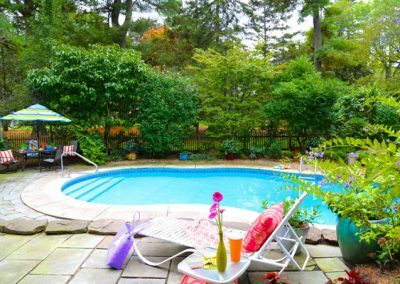 Poolside vignettes allow future homeowners to imagine themselves relaxing waterside. 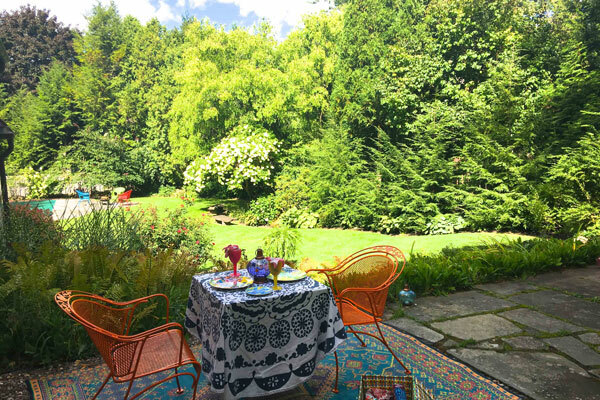 A room with a view! 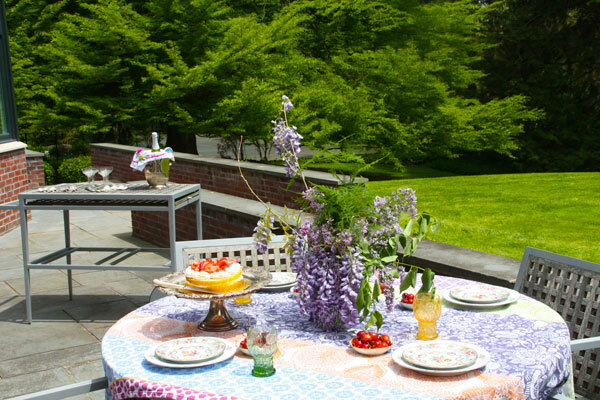 An outdoor carpet set on slate with a patterned tablecloth, votive candles and picnic basket create a romantic moment after work. 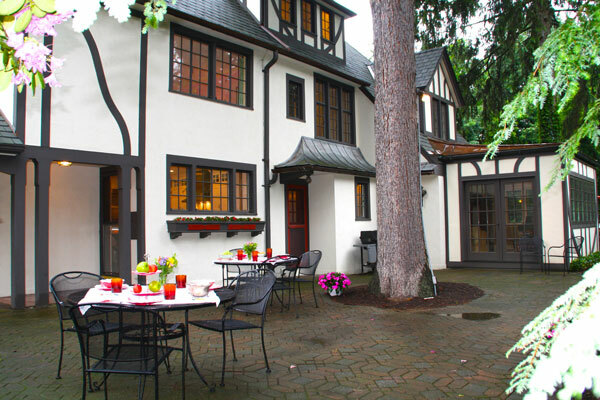 We filled the window boxes with flowers on this European-style patio in order to create a chalet feeling. Hot tubs are enlivened with vibrant towels, bathing suits and balls. 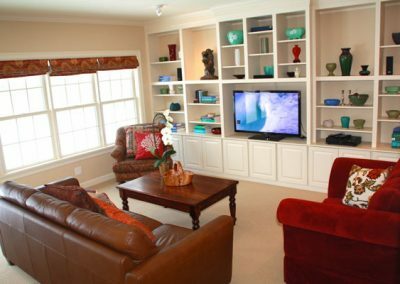 We use the homeowner’s furniture and perk it up with our staging accessories. 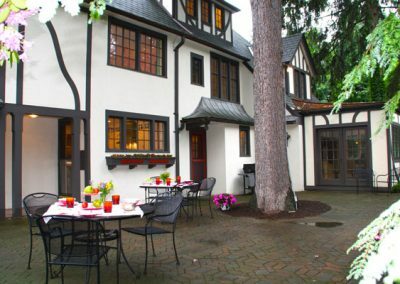 Join us for Champagne lunch al fresco? 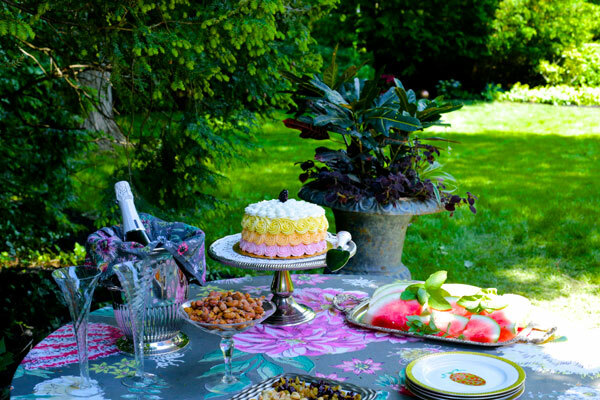 Fuzzy moss balls, spiky fruit, and silky scarves mesh together in an interesting tableau of textures. 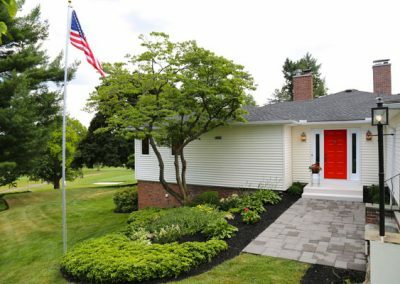 We painted this front door red to give it a standout accent, and installed an American flag to increase the feeling of height, for this ranch level home on the golf course! 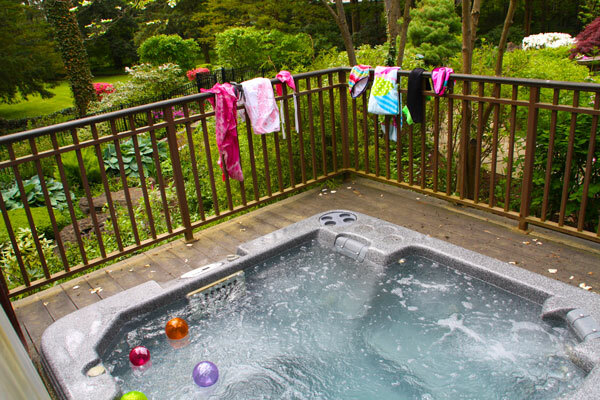 We love staging the poolhouses with wet suits, pool toys and towels. 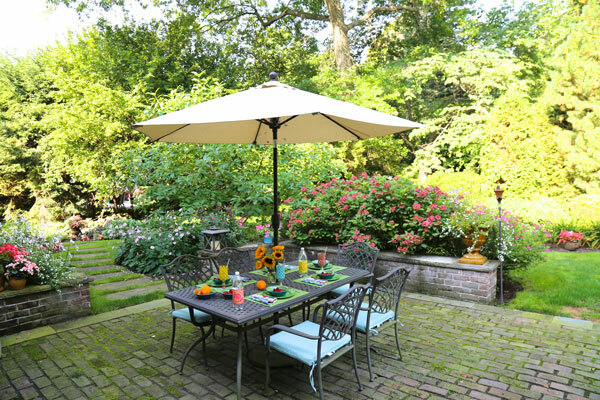 Sometimes the umbrella stands add a festive touch to the pool setting. 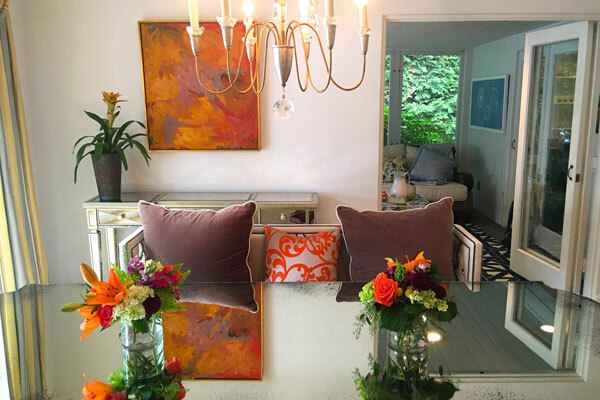 The artistic expertise of Jamie and her team gives fresh perspective while encouraging the buyer to mindfully be in the spaces, imagining a different life ahead. 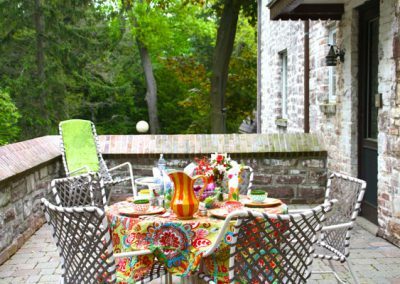 Jamie’s creativity with marketing and merchandising the house was beyond my imagination. 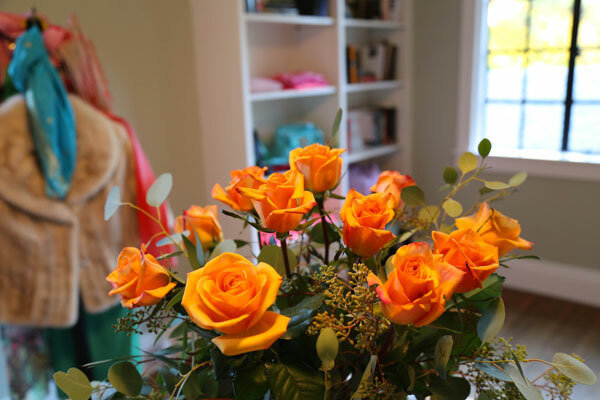 Her work ethic is indescribable. 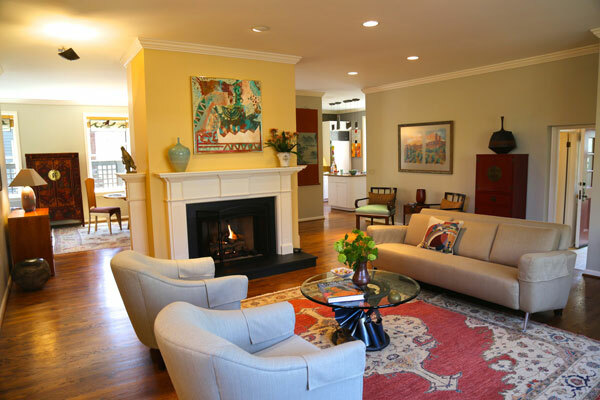 We opted for staging to sell our home and Jamie took care of everything! 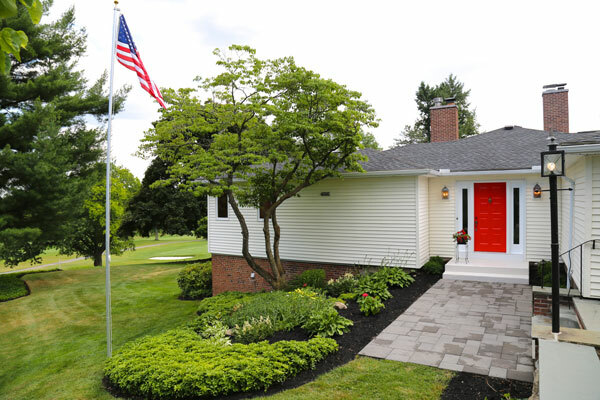 Our home looked like a magazine and sold quickly for over other existing neighborhood comps. 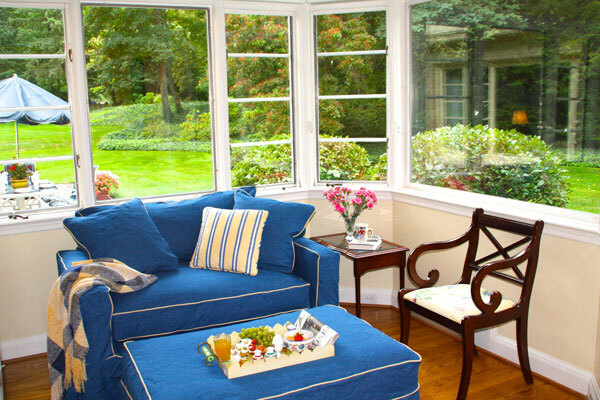 She is very professional and listens to the wants and needs of her clientele but most importantly she DELIVERS results!